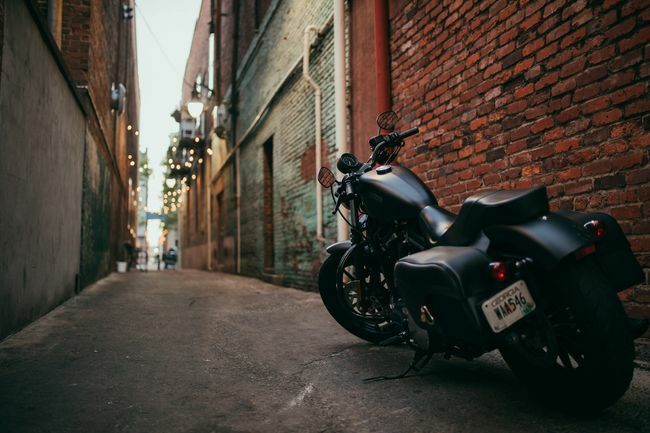 Unlock the mystery of coaxing the internal combustion engine into life; read on and discover everything you need to know about how to start a motorcycle. What Happens When Starting An Engine? When I began writing this article, I attempted to make a rough calculation as to how many times I’ve started a bike over the years. As an absolute minimum, and not counting my misspent youth as a despatch rider, I would say at least 9000 times. You would think that’s a sufficient number to get it right, but as every biker knows, motorcycles are not just a collection of metal parts. They’re alive, and if they don’t want to start, that’s it, you’re going nowhere. For those of you who’ve been around the block a few times, we’ll be looking at more complex subjects. We’ll explore hot and cold starts, and engine cut-outs to name but a few. The internal combustion engine is simple in theory, but complex in its execution. To cut a long story short, this is what is happening internally, every time you start your motorcycle. Fuel mixes with air and is compressed inside a chamber then ignited. The resulting explosion forces a piston via a conrod to rotate around a crankshaft with an external sprocket. 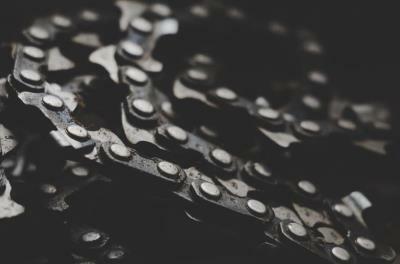 The sprocket links to the back wheel via a final drive and achieves forward motion with every revolution of the crank. In order to set the whole thing in motion, firstly sit on your bike, turn on the gas at the tap, insert the key (for road bikes, see below for dirt bikes) into the ignition and turn it on. Your motorcycle should have a neutral indicator located either in your dash panel or inside a clock. This indicator light should be illuminated green, which means it’s out of gear. Make sure the handlebar kill-switch is set to run and if the engine is cold and fitted with a carburetor, pull on the choke and hit the starter button. The last letter (C) refers to pulling on the choke, but the MSF also say it stands for clutch. They advise this relates to pulling in the clutch lever before you hit the starter button. That’s a bit too much like belt and braces for me, but it doesn’t hurt. If you’re new to kick-starting, try a few slow practice swings with the petrol and ignition off and the bike in neutral. 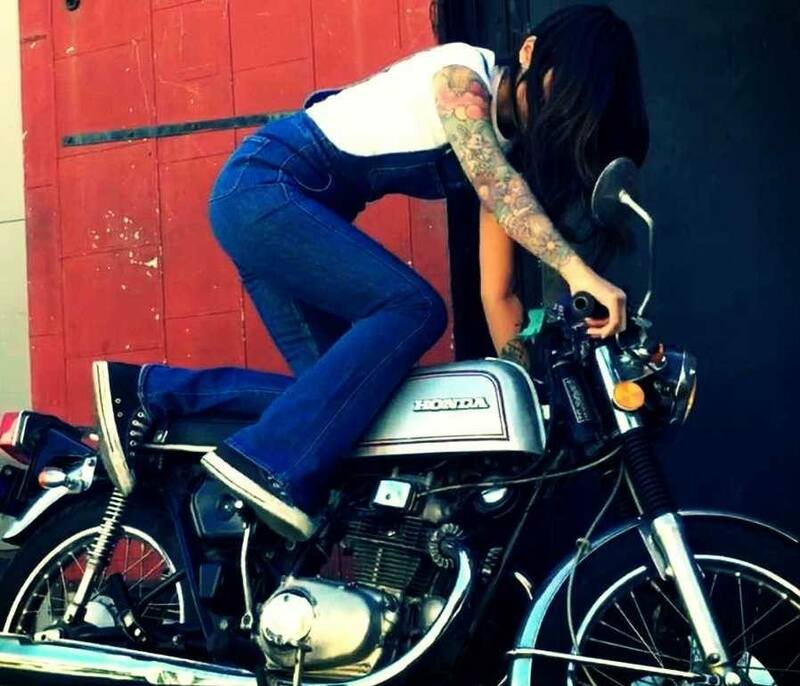 The 1969 Honda CB750 was the first production bike with an electric starter, and before that, you either developed a strong right leg or jumped a bus. Today, retro is in, and some manufacturers claim massive street cred for kick only bikes like the Yamaha SR400. 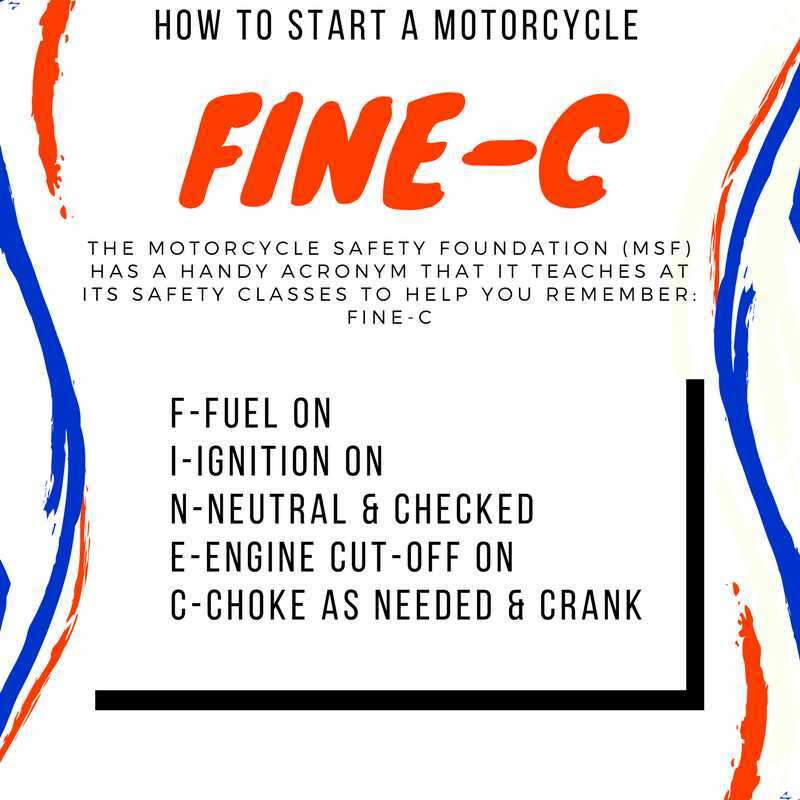 Don’t forget, a lot of dirt bikes are kickstart motorcycles, but whatever the reason, here’s how to kickstart a motorcycle. Straddle your bike, swing out the kick-starter and push down with your foot till you feel resistance. By doing this, you’re bringing the piston up to TDC (top dead center). 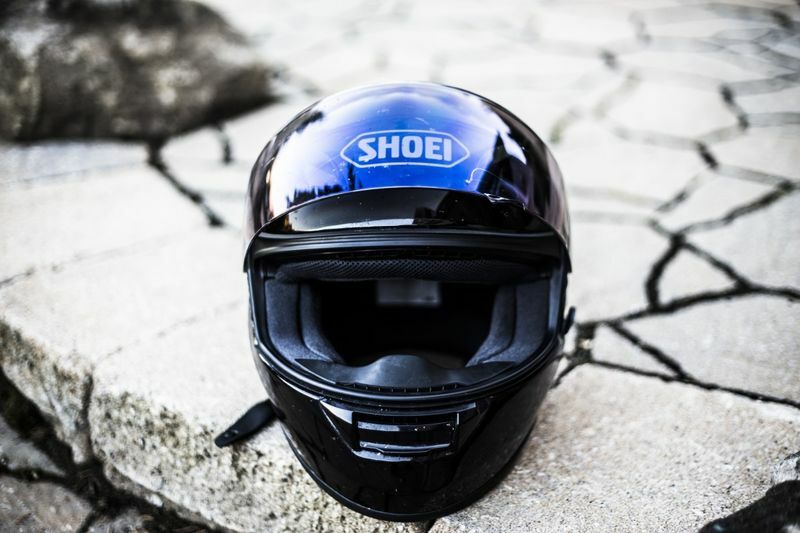 Your bike may feature a compression release mechanism, or as in the SR400, a kick indicator sight glass. Either way, both will allow you to ease the piston over the compression stroke so that when you swing down on the kick-starter you're getting the most bang for your buck. Your leg action must be smooth, and the kick in one fluid motion, using the full length of the kick-starter’s swing. Try to keep your resting leg and kicking leg slightly bent at the knee and after every kick, let the return spring ease the kick-starter back up at its own pace. Once the engine starts, fold the kick-starter back into place. Obviously, the starting procedure is precisely the same as in our first section (in other words, follow the whole FINE-C routine). The reason you're using the choke lever for a cold engine here is because it enriches the mixture. This procedure allows the air in the mixture to be restricted, so there’s more fuel in the combustion chamber, which in turn, makes it easier to ignite. This more volatile mixture is needed because cold engine oil is more viscous and requires more effort to move. As you would expect, re-starting a hot engine requires the exact opposite. Your starting procedure, therefore, doesn't need any choke or twisting of the throttle, before you hit the starter button. Don’t forget, if you’ve stalled the engine, the sudden lack of spark allows fuel to temporarily flood the combustion chamber. If you have a fuel-injected engine, hot and cold starts are automatically taken care of. Dirt bike riders may also have something called a hot start lever on their bike, which acts in exactly the opposite way of a choke lever. Operating this device, manually withholds fuel in the combustion chamber, allowing in more air. Regarding starting the engine, two and four- stroke procedure is the same, the difference comes with the total number of power strokes per revolution of the crankshaft. If engine sizes are similar, a two-stroke engine requires far less effort to start as it has no valve gear and fires on every revolution. Alternatively, four-stroke engines fire on every second revolution and generally have a higher compression ratio. For this reason, two-stroke engines require far less effort to kick-start. There are also a number of differences when it comes to size, ease of manufacturer and noise which you can read here. Did you know that the collective governments of Europe, the US, and Australia, decided to save motorcyclists from themselves? Which is why you will find a series of ingenious devices around your bike designed to kill the engine. I do get the safety concerns relating to newbies leaving their kickstand down or trying to start a bike in gear. 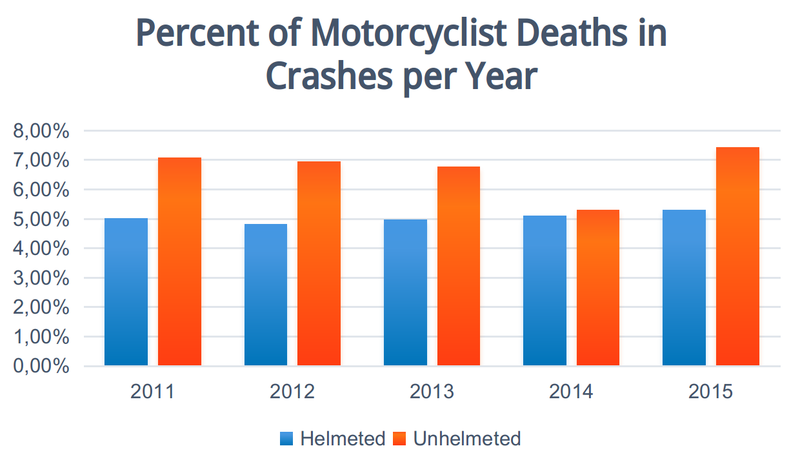 Not one motorcycle safety organization or manufacturer, however, can provide sufficient evidence to suggest that these measures are needed. Anyway, cutout devices are here to stay so let’s look at where they are and what they do. Hinckley Triumph was one of the first manufacturers to have a side stand kill switch almost 30 years ago, and boy did it cause some problems! New owners would either not read the owner’s manual so were unaware of it, or the British weather would clog up the mechanism underneath the bike. So in relation to you and your ride, it always pays to read the owner’s manual. This step is not nerdy, it’s common sense and will go through in detail, the correct starting procedure for your bike and the various kill switch traps, aka safety devices, employed. The side stand or kickstand as it is known prevents the engine from starting if it is in the down position. It does this by having a small switching device attached to the stand and wired into the starter circuit. If your bike does not start even with the kickstand retracted, check that the switch is working correctly. The other most popular kill switch is on the clutch, which means you need to pull in the clutch before the engine starts. It is possible to bypass both of these cutouts, but this is not advisable as it may void your warranty. There can also be kill switches wired into the neutral or gear indicator. The best way to start your bike is to get into the habit of automatically going through your checklist. Look for a neutral light when you turn the ignition on, or a zero on your gear indicator, hold the clutch in and making sure the kickstand is up. If your bike is not start starting at this point you may try jumpstart motorbike. Bump or jump-starting is a method of starting your bike, usually when the battery has died. You can generally tell if this has happened by the dimness of the idiot lights and headlight, or if the starter motor is making a clicking sound. Don’t despair though, a bump-start is the answer to your problem and although the thought of it may be daunting, it’s easier than it looks. All you have to do is observe some basic safety rules. Before we get to the nitty-gritty, you need to make sure that it is a dead battery and not just an engine cut out that hasn’t disengaged. If all your lights are dim and the starter clicks, then it’s the battery. Hit the starter and hear nothing, and it’s more likely to be an engine kill switch. Ok, its time to walk the walk and learn to jump start motorcycle. Firstly, go through your regular checklist, which should include, making sure you have gas, the tap is on, and the choke too if needed. The neutral light may be too dim to illuminate, so do a manual check by moving your motorcycle back and forth with the clutch out. For an assisted bump, get one or preferably two people to help while you sit on the bike. 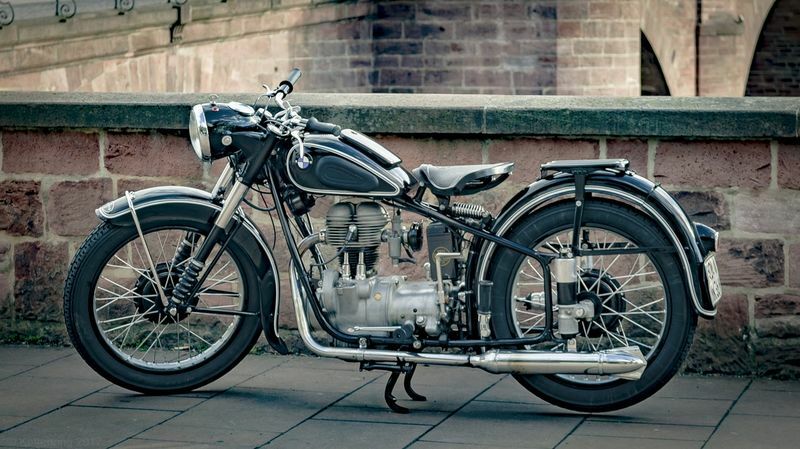 Put the bike into second gear, turn the ignition on, pull in the clutch and yell "push". When your volunteers have shoved you past the 5mph barrier, let the clutch out quickly and see if the engine starts. If it does, immediately pull in the clutch while revving the engine. Throttling the engine will help the alternator feed the battery, but MAKE SURE THE CLUTCH IS IN FIRST. 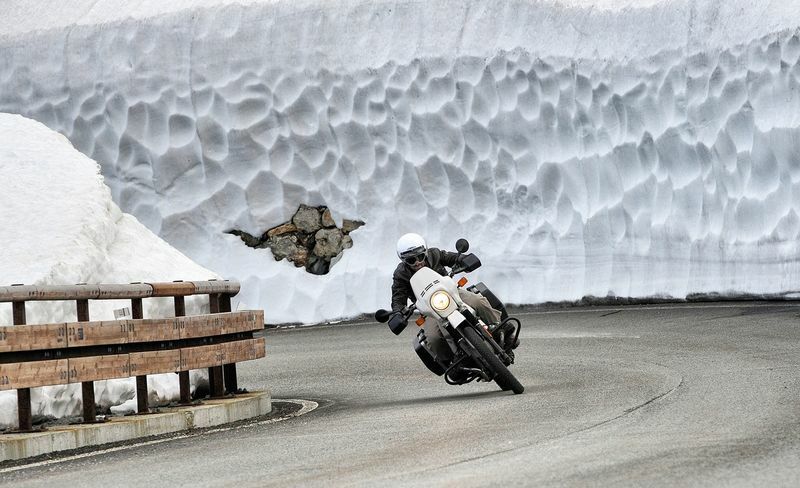 Don't let the bike tick over on its own until the engine has been thoroughly warmed up. Otherwise, it will stall, and you're back to square one. The best thing is to go for a ride as soon as it fires up. If you’re on your own when your battery buys the farm, the checklist is the same only you will be supplying the forward motion. A word to the wise, pushing a bike to 5mph on your own is not easy, and trying to maintain momentum while jumping on and dropping the clutch is a skill. If at all possible find a quiet hill to roll down, just make sure the road is free of traffic and get ready to yank that clutch in! To be honest, there's not a lot of difference between how to start a motorcycle whether it be a road or dirt bike. Checklist procedures are the same and when ready and depending on your make of bike either push that button or swing the kick-start. A lot of dirt bikes are two-stroke, and kick-start only, which means they prefer a full swing of the kicker. Due to the lack of compression though, this can be performed reasonably rapidly and without much effort. Kick-starting a four-stroke dirt bike follows the same procedure as our previous section. More care is needed though, to get the piston in the right position before adding your weight to the pedal. The most significant difference between starting a road versus a dirt bike comes to light when the engine is hot. 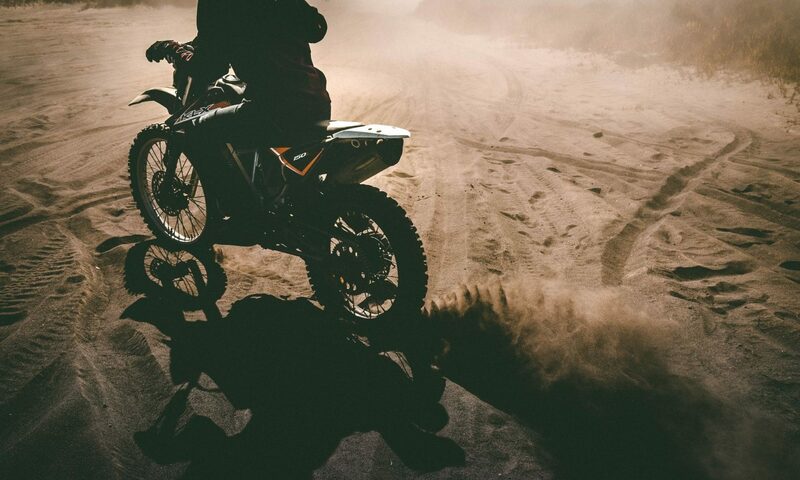 Some dirt bikes have a hot start lever, which allows more air than fuel into the combustion chamber. Road bikes do not have this facility. For whatever reason work has been carried out on your engine, starting it for the first time after a rebuild is tense. The last thing you need is for the whole thing to come grinding to a halt, so before you even get to your starting checklist, look at the oil. Whether you have a dipstick or a sight window, make sure the level is correct. Now you need to ensure the oil is circulating. This step is easier if you have a separate oil tank or know where the return oil line is. If you don't possess either, get the back wheel off the ground and remove the spark plug(s). Put the bike in gear, and manually rotate the back wheel; do this procedure with the ignition, OFF. Alternatively, with the spark plug(s) removed, the gas off, and the bike in neutral hit the starter button and let the engine cycle a few times. Do this procedure with the ignition, ON. So there you have it, how to start your motorcycle is no longer a mystery, and some of the more complex subjects relating to it are now clear. We hope you enjoyed this article buy maybe we've missed something or failed to address an issue specifically related to your bike. Perhaps you have a top tip you want to share! Whatever the case, we’d love to hear from you in the comment section.